I like Halloween but I am not a big Halloween crafter. I admit to winter and spring designs being my favourite seasons to create for. Halloween is growing on me as I plan costumes for a party and enjoy all the decorating going on around me! A group of very talented designers are serving up some great treats with Terrorific Tuesdays! 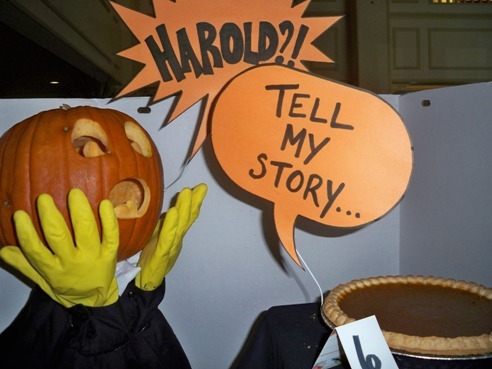 A local hotel holds a pumpkin carving contest. This entry just made me smile! EnJOY! Debra, CEO!